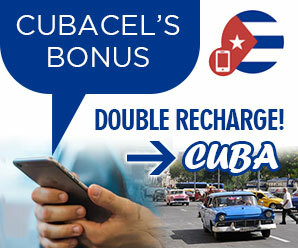 cubacayoblanco.com | Want to know before you go? Official Cuba Cayo Blanco information and guide, get facts and latest news. Cayo Blanco Cuba is an undeveloped island pertaining to the Caribbean nation of Cuba. While Cayo Blanco is currently a popular day trip from Varadero, visited by catamarans and yachts, the island will soon to be developed into a major tourist destination with hotels and condos planned before 2018. The Cayo Blanco is part of the Cuba Domains network of domain names which includes over 700 of the very best Cuba domain names. We recommend returning to Cayo Blanco to see the updates and hotel development taking place or, alternatively, visit some of our developed Cuba destinations at the More Cuba link above. Cuba Hotels by province is offered exclusively from the Cuba Cayo Blanco team at Travelucion Varadero. Browse Cuban hotels by category, price or read Cuban Hotel Reviews. Travelucion also offers independent reviews on over 400 Casa particular in Cuba all accessible from the links below and conveniently situated in each Cuban province. You will be picked up right from your hotel in Varadero, the all-inclusive maritime cruise sets out. Sail off-shore and discover – swimming or snorkeling – the beautiful, crystal-clear waters surrounding the Cuban peninsula. Cayo Blanco is next on the itinerary, where you’ll enjoy a delicious seafood lunch (lobster, shrimp, and fish). An open bar is provided on board the comfortable vessels, as well as during your stay on the Cayo. An approximately 15-minute interactive swim with dolphins makes this a memorable excursion. • Transportation by air-conditioned bus. • Program according to description. • Seafood lunch (lobster, shrimp, and fish). See also remarks. • All drinks (soft drinks, beer and Cuban cocktails). • Nautical equipment (non-motorized) and means of protection are included for snorkeling and sailing. • Based on the number of tourists, the sequence of the excursion may be modified. • The vessel is shared with participants of different nationalities. • During dolphin-training sessions, it may not be possible to swim with the dolphins. The price may be adjusted accordingly. • Outside of lobster season, the seafood menu will contain a combination of fish and shrimp. • You can inform our chat representative if you prefer a dish other than seafood. • We recommend putting on your swimsuit in your hotel, before boarding the boat. • The exact pick-up time depends on the location of your hotel in the itinerary. Published times are listed beginning with the first hotel and ending with the last in the pick-up itinerary. If in doubt, please do not hesitate to call our representatives; you will find their telephone numbers on our website and on your voucher. *This excursion is only bookable via the chat system on this website. • Return to hotels in Varadero.